Islamic philosophy is the systematic investigation of problems connected with life, the universe, ethics, society, and so on as conducted in the Muslim world. Early Islamic philosophy began in the 2nd century AH of the Islamic calendar (early 9th century CE) and lasted until the 6th century AH (late 12th century CE). The period is known as the Islamic Golden Age, and the achievements of this period had a crucial influence on the development of modern philosophy and science; for Renaissance Europe, the influence represented “one of the largest technology transfers in world history.”. This period began with al-Kindi in the 9th century and ended with Averroes (Ibn Rushd) at the end of 12th century. The death of Averroes effectively marked the end of a particular discipline of Islamic philosophy usually called the Peripatetic Arabic School, and philosophical activity declined significantly in Western Islamic countries such as Islamic Spain and North Africa. Philosophy persisted for much longer in the Eastern countries, in particular Persia and India where several schools of philosophy continued to flourish: Avicennism, Illuminationist philosophy, Mystical philosophy, and Transcendent theosophy. Ibn Khaldun, in his Muqaddimah, made important contributions to the philosophy of history. Interest in Islamic philosophy revived during the Nahda (awakening) movement in the late 19th and early 20th centuries, and continues to the present day. Islamic philosophy refers to philosophy produced in an Islamic society. It is not necessarily concerned with religious issues, nor exclusively produced by Muslims. Nor do all schools of thought within Islam admit the usefulness or legitimacy of philosophical inquiry. Some argue that there is no indication that the limited knowledge and experience of humans can lead to truth. It is also important to observe that, while "reason" ('aql) is sometimes recognised as a source of Islamic law, this may have a totally different meaning from "reason" in philosophy. Islamic philosophy as the name implies refers to philosophical activity within the Islamic milieu. The main sources of classical or early Islamic philosophy are the religion of Islam itself (especially ideas derived and interpreted from the Quran) and Greek philosophy which the early Muslims inherited as a result of conquests, along with pre-Islamic Indian philosophy and Persian philosophy. Many of the early philosophical debates centered around reconciling religion and reason, the latter exemplified by Greek philosophy. One of first debates was that between partisans of the Qadar (قدرة meaning "to have power"), who affirmed free will; and the Jabarites (جبر meaning "force", "constraint"), who believed in fatalism. At the 2nd century of the Hijra, a new movement arose in the theological school of Basra, Iraq. A pupil, Wasil ibn Ata, was expelled from the school because his answers were contrary to then Sunni tradition and became leader of a new school. He systematized the radical opinions of preceding sects, particularly those of the Qadarites and Jabarites. This new school was called Mu'tazilite (from i'tazala, to separate oneself). The Mu'tazilites, compelled to defend their principles against the Sunni Islam of their day, looked for support in philosophy, and represent an early attempt to pursue a rational theology in Islam. A later offshoot of this school, known as Ash'arism, aimed to reconcile critical dialectical thinking with a stricter Islamic orthodoxy. The Mu'tazilite and Ash'arite schools are collectively called Mutakallimun (dialecticians), and their type of theology was known as 'Ilm-al-Kalam (Scholastic theology). In later times, Kalam was used to mean simply "theology", i.e. the duties of the heart as opposed to (or in conjunction with) fikh (jurisprudence), the duties of the body. Falsafa is a Greek loanword meaning "philosophy" (the Greek pronunciation philosophia became falsafa). From the 9th century onward, due to Caliph al-Ma'mun and his successor, Ancient Greek philosophy was introduced among the Arabs and the Peripatetic School began to find able representatives. Among them were Al-Kindi, Al-Farabi, Ibn Sina (Avicenna) and Ibn Rushd (Averroës), all of whose fundamental principles were considered as criticized by the Mutakallamin. Another trend, represented by the Brethren of Purity, used Aristotelian language to expound a fundamentally Neoplatonic and Neopythagorean world view. During the Abbasid caliphate, a number of thinkers and scientists, some of them heterodox Muslims or non-Muslims, played a role in transmitting Greek, Hindu and other pre-Islamic knowledge to the Christian West. They contributed to making Aristotle known in Christian Europe. Three speculative thinkers, al-Farabi, Ibn Sina (Avicenna) and al-Kindi, combined Aristotelianism and Neoplatonism with other ideas introduced through Islam. Aristotle attempted to demonstrate the unity of God, but from the view which he maintained, that matter was eternal, it followed that God could not be the Creator of the world. He did, however, demonstrate, through causal necessity, the existence of a "first cause" from which stemmed all of changeable creation, undermining the traditional views of God. Aristotle's "Divine Mind" can in fact be a creating principle. According to Aristotelianism, the human soul is simply man's substantial form, the set of properties that make matter into a living human body. This seems to imply that the human soul cannot exist apart from the body. Indeed, Aristotle writes, "It is clear that the soul, or at least some parts of it (if it is divisible), cannot be separated from the body. [...] And thus, those have the right idea who think that the soul does not exist without the body." In Aristotelianism, at least one psychological force, the active intellect, can exist apart from the body. However, according to many interpretations, the active intellect is a superhuman entity emanating from God and enlightening the human mind, not a part of any individual human soul. Thus, Aristotle's theories seem to deny the immortality of the individual human soul. Wherefore the Mutakallimun had, before anything else, to establish a system of philosophy to demonstrate the creation of matter. To that end, they adopted the theory of atoms as enunciated by Democritus. They taught that atoms possess neither quantity nor extension. Originally atoms were created by God, and are created now as occasion seems to require. Bodies come into existence or die, through the aggregation or the sunderance of these atoms. But this theory did not remove the objections of philosophy to a creation of matter. By the 12th century, Kalam, attacked by both the philosophers and the orthodox, perished for lack of champions. At the same time, however, Falsafa came under serious critical scrutiny. The most devastating attack came from Al-Ghazali (1058–1111), whose work Tahafut al-Falasifa (The Incoherence of the Philosophers) effectively demolished the main arguments of the Peripatetic School. Ibn Rushd (Ibn Roshd, Averroës), Maimonides' contemporary, was one of the last of the Islamic Peripatetics and set out to defend the views of the Falsafa against al-Ghazali's criticism. The theories of Ibn Rushd do not differ fundamentally from those of Ibn Bajjah and Ibn Tufail, who only follow the teachings of Ibn Sina (Avicenna) and Al-Farabi. Like all Islamic Peripatetics, Ibn Rushd admits the hypothesis of the intelligence of the spheres and the hypothesis of universal emanation, through which motion is communicated from place to place to all parts of the universe as far as the supreme world—hypotheses which, in the mind of the Arabic philosophers, did away with the dualism involved in Aristotle's doctrine of pure energy and eternal matter. But while Al-Farabi, Ibn Sina (Avicenna), and other Persian and Muslim philosophers hurried, so to speak, over subjects that trenched on traditional beliefs, Ibn Rushd delighted in dwelling upon them with full particularity and stress. Thus he says, "Not only is matter eternal, but form is potentially inherent in matter; otherwise, it were a creation ex nihilo" (Munk, "Mélanges," p. 444). According to this theory, therefore, the existence of this world is not only a possibility, as Ibn Sina (Avicenna) declared, but also a necessity. In early Islamic philosophy, Averroes. The works of al-Farabi, Avicenna, al-Ghazali and other Muslim logicians who often criticized and corrected Aristotelian logic and introduced their own forms of logic, also played a central role in the subsequent development of European logic during the Renaissance. "For the Islamic philosophers, logic included not only the study of formal patterns of inference and their validity but also elements of the philosophy of language and even of epistemology and metaphysics. 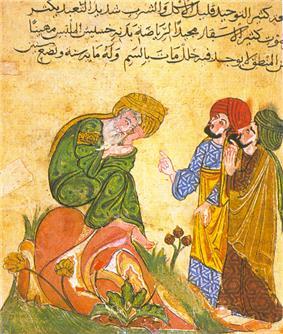 Because of territorial disputes with the Arabic grammarians, Islamic philosophers were very interested in working out the relationship between logic and language, and they devoted much discussion to the question of the subject matter and aims of logic in relation to reasoning and speech. In the area of formal logical analysis, they elaborated upon the theory of terms, propositions and syllogisms as formulated in Aristotle's Categories, De interpretatione and Prior Analytics. In the spirit of Aristotle, they considered the syllogism to be the form to which all rational argumentation could be reduced, and they regarded syllogistic theory as the focal point of logic. Even poetics was considered as a syllogistic art in some fashion by most of the major Islamic Aristotelians." Early forms of analogical reasoning, inductive reasoning and categorical syllogism were introduced in Fiqh (Islamic jurisprudence), Sharia (Islamic law) and Kalam (Islamic theology) from the 7th century with the process of Qiyas, before the Arabic translations of Aristotle's works. Later, during the Islamic Golden Age, there was debate among Islamic philosophers, logicians and theologians over whether the term Qiyas refers to analogical reasoning, inductive reasoning or categorical syllogism. Some Islamic scholars argued that Qiyas refers to inductive reasoning. Ibn Hazm (994-1064) disagreed, arguing that Qiyas does not refer to inductive reasoning but to categorical syllogistic reasoning in a real sense and analogical reasoning in a metaphorical sense. On the other hand, al-Ghazali (1058–1111; and, in modern times, Abu Muhammad Asem al-Maqdisi) argued that Qiyas refers to analogical reasoning in a real sense and categorical syllogism in a metaphorical sense. Other Islamic scholars at the time, however, argued that the term Qiyas refers to both analogical reasoning and categorical syllogism in a real sense. Averroes (1126–98), author of the most elaborate commentaries on Aristotelian logic, was the last major logician from al-Andalus. Fakhr al-Din al-Razi (b. 1149) criticised Aristotle's "first figure" and developed a form of inductive logic, foreshadowing the system of inductive logic developed by John Stuart Mill (1806–1873). Systematic refutations of Greek logic were written by the Illuminationist school, founded by Shahab al-Din Suhrawardi (1155–1191), who developed the idea of "decisive necessity", an important innovation in the history of logical philosophical speculation. and in favour of inductive reasoning. The Freewill versus predestination issue is one of the "most contentious topics in classical Islamic thought." In accordance with the Islamic belief in predestination, or divine preordainment (al-qadā wa'l-qadar), God has full knowledge and control over all that occurs. This is explained in Qur'anic verses such as "Say: 'Nothing will happen to us except what Allah has decreed for us: He is our protector'..." For Muslims, everything in the world that occurs, good or bad, has been preordained and nothing can happen unless permitted by God. According to Muslim theologians, although events are pre-ordained, man possesses free will in that he or she has the faculty to choose between right and wrong, and is thus responsible for his actions. According to Islamic tradition, all that has been decreed by God is written in al-Lawh al-Mahfūz, the "Preserved Tablet". In the medieval Islamic world, an elementary school was known as a maktab, which dates back to at least the 10th century. Like madrasahs (which referred to higher education), a maktab was often attached to a mosque. In the 11th century, Ibn Sina (known as Avicenna in the West), in one of his books, wrote a chapter dealing with the maktab entitled "The Role of the Teacher in the Training and Upbringing of Children", as a guide to teachers working at maktab schools. He wrote that children can learn better if taught in class (education)es instead of individual tuition from private tutors, and he gave a number of reasons for why this is the case, citing the value of competition and emulation among pupils as well as the usefulness of group discussions and debates. Ibn Sina described the curriculum of a maktab school in some detail, describing the curricula for two stages of education in a maktab school. Philosophus Autodidactus also had a "profound influence" on Robert Barclay, the Quakers, and Samuel Hartlib. The most famous social philosopher was the Ash'ari polymath Ibn Khaldun (1332–1406), who was the last major Islamic philosopher from North Africa. In his Muqaddimah, he developed the earliest theories on social philosophy, in formulating theories of social cohesion and social conflict. His Muqaddimah was also the introduction to a seven volume analysis of universal history. Since no idea and no literary or philosophical movement ever germinated on Persian or Arabian soil without leaving its impress on the Jews, the Persian Ghazali found an imitator in the person of Judah ha-Levi. This poet also took upon himself to free his religion from what he saw as the shackles of speculative philosophy, and to this end wrote the "Kuzari," in which he sought to discredit all schools of philosophy alike. He passes severe censure upon the Mutakallimun for seeking to support religion by philosophy. He says, "I consider him to have attained the highest degree of perfection who is convinced of religious truths without having scrutinized them and reasoned over them" ("Kuzari," v.). Then he reduced the chief propositions of the Mutakallamin, to prove the unity of God, to ten in number, describing them at length, and concluding in these terms: "Does the Kalam give us more information concerning God and His attributes than the prophet did?" (Ib. iii. and iv.) Aristotelianism finds no favor in Judah ha-Levi's eyes, for it is no less given to details and criticism; Neoplatonism alone suited him somewhat, owing to its appeal to his poetic temperament. In Greek logic were written by the Illuminationist school, founded by Shahab al-Din Suhrawardi (1155-1191), who developed the idea of "decisive necessity", an important innovation in the history of logical philosophical speculation. 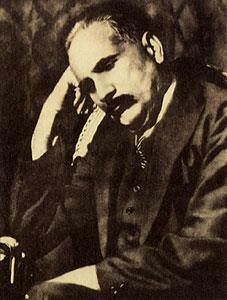 Allama Muhammad Iqbal (1877-1938), Muslim philosopher, poet and scholar from Pakistan (then British India). The tradition of Islamic philosophy is still very much alive today [despite the belief in many Western circles that this tradition ceased after the golden ages] of Suhrawardi's Hikmat al-Ishraq (Illumination Philosophy) or Mulla Sadra's Hikmat-e-Mota'aliye (Transcendent [or Exalted] Philosophy). Another figure is Allama Muhammad Iqbal, who reshaped and revitalized Islamic philosophy among the Muslims of the Indian sub-continent in the early 20th century. His The Reconstruction of Religious Thought in Islam  is a milestone in the modern political philosophy of Islam. Ruhollah Khomeini, founder of the Islamic Republic of Iran, was a famous teacher of the philosophical school of Hikmat-ul-Mutaliya. Before the Islamic Revolution, he was one of the few who formally taught philosophy at the Religious Seminary at Qum. Mohammad-Taqi Mesbah-Yazdi,Grand Ayatollah is an Iranian Twelver Shi'a cleric. he advocates of Islamic philosophy , particularly Hikmat Mutaliyyah. Geydar Dzhemal, famouos Russian islamic philosopher, author of Orientation - North. fnd ideologist of islamic marxism. Muhammad Husayn Tabataba'i,Grand Ayatollah is an Iranian Twelver Shi'a cleric (Allameh Tabatabaei), author of numerous works including the 27-volume Quranic commentary al-Mizan (الميزان). Hamka or Haji Abdul Malik Karim Amirullah was a prominent Indonesian author, Ulema politician, philosophical thinker, and author of Tafir Al Azhar. He was head of Indonesia's mufti council(MUI). He resigned when his fatwa against the celebration of Christmas by Muslims was condemned by the Suharto regime. Highly respected in his country, he was also appreciated in Malaysia and Singapore. Israr Ahmed, (1932-2010) was a Pakistani Islamic theologian followed particularly in South Asia and also among the South Asian diaspora in the Middle East, Western Europe, and North America. Founder of the Tanzeem-e-islami, an offshoot of the Jamaat-e-Islami, he was significant scholar of Islam and the Quran. Muhammad Hamidullah (1908-2002) belonged to a family of scholars, jurists, writers and sufis. He was a world-renowned scholar of Islam and International Law from India, who was known for contributions to the research of the history of Hadith, translations of the Koran, the advancement of golden age Islamic learning, and to the dissemination of Islamic teachings in the Western world. There would be many Islamic thinkers who were not enthusiastic about its potential, but it would be incorrect to assume that they opposed philosophy simply because it was a "foreign science". Oliver Leaman, an expert on Islamic philosophy, points out that the objections of notable theologians are rarely directed at philosophy itself, but rather at the conclusions the philosophers arrived at. Even the 11th century al-Ghazali, who is famous for his Incoherence of the Philosophers critique of philosophers, was himself an expert in philosophy and logic. His criticism was that they arrived at theologically erroneous conclusions. In his view the three most serious of these were believing in the co-eternity of the universe with God, denying the bodily resurrection, and asserting that God only has knowledge of abstract universals, not of particular things, though it should be noted that not all philosophers subscribed to these same views. In recent studies by Muslim contemporary thinkers that aim at "renewing the impetus of philosophical thinking in Islam," Nader El-Bizri offers a critical analysis of the conventions that dominate mainstream academic and epistemic approaches in studying Islamic philosophy. These approaches, of methodology and historiography are looked at from archival standpoints within Oriental and Mediaevalist Studies, fail to recognize the fact that philosophy in Islam can still be a living intellectual tradition. He maintains that its renewal requires a radical reform in ontology and epistemology within Islamic thought. ^ Wolfson, Harry Austryn (1976). The philosophy of the Kalam. Harvard University Press. pp. 3–4. ^ "This intellect is separate, unaffected, and unmixed [...] In separation, it is just what it is, and this alone is immortal and eternal" (De Anima 430a18, 23-24). ^ For recent discussions of this question, see Nader El-Bizri, "Avicenna and Essentialism", The Review of Metaphysics, Vol. 54 (June 2001), pp. 753-778. ^ Nahyan A. G. Fancy (2006), "Pulmonary Transit and Bodily Resurrection: The Interaction of Medicine, Philosophy and Religion in the Works of Ibn al-Nafīs (d. 1288)", p. 209-210 (Electronic Theses and Dissertations, University of Notre Dame). ^ a b c d Sabra (2003). Ibn al-Haytham: Brief life of an Arab mathematician, Harvard Magazine, October–December 2003. ^ A. Abd-Allah. "The Qur'an, Knowledge, and Science". ^ Dr Valérie Gonzalez, "Universality and Modernity", The Ismaili United Kingdom, December 2002, p. 50-53. ^ Nader El-Bizri, "In Defence of the Sovereignty of Philosophy: al-Baghdadi's Critique of Ibn al-Haytham's Geometrisation of Place", Arabic Sciences and Philosophy (Cambridge University Press), Vol. 17, Issue 1 (2007): 57-80. ^ Dr. A. Zahoor (1997), Abu Raihan Muhammad al-Biruni, Hasanuddin University. ^ a b Dr. Abu Shadi Al-Roubi (1982), "Ibn Al-Nafis as a philosopher", Symposium on Ibn al-Nafis, Second International Conference on Islamic Medicine: Islamic Medical Organization, Kuwait (cf. Ibn al-Nafis As a Philosopher, Encyclopedia of Islamic World). ^ Muhsin Mahdi (1974), "The Theologus Autodidactus of Ibn at-Nafis by Max Meyerhof, Joseph Schacht", Journal of the American Oriental Society 94 (2), p. 232-234. ^ Nahyan A. G. Fancy (2006), "Pulmonary Transit and Bodily Resurrection: The Interaction of Medicine, Philosophy and Religion in the Works of Ibn al-Nafīs (died 1288)", p. 95-101, Electronic Theses and Dissertations, University of Notre Dame. ^ Nahyan A. G. Fancy (2006), "Pulmonary Transit and Bodily Resurrection: The Interaction of Medicine, Philosophy and Religion in the Works of Ibn al-Nafīs (d. 1288)", p. 42 & 60, Electronic Theses and Dissertations, University of Notre Dame. ^ Mohamad Abdalla (Summer 2007). "Ibn Khaldun on the Fate of Islamic Science after the 11th Century", Islam & Science 5 (1), p. 61–70. ^ Tony Street (July 23, 2008). "Arabic and Islamic Philosophy of Language and Logic". ^ Kamal, Muhammad (2006). Mulla Sadra's Transcendent Philosophy. Ashgate Publishing, Ltd. pp. 9 & 39. ^ Nader El-Bizri, "The Labyrinth of Philosophy in Islam", in Comparative Philosophy 1.2 (2010): 3–23. Refer also to his article: Nader El-Bizri, 'Le renouvellement de la falsafa? ', Les Cahiers de l’Islam I (2014): 17-38. See also references above in this section of the footnotes to some of Nader El-Bizri's other related earlier studies. Russell, G. A. (1994). The 'Arabick' Interest of the Natural Philosophers in Seventeenth-Century England. Toomer, G. J. (1996). Eastern Wisedome and Learning: the Study of Arabic in Seventeenth-Century England. Oxford University Press.